This designer collection of electrical plug sockets and fittings which have a pale brown colour finish painted onto a thick metal back plate. These household plug sockets are available as a single or double and we can also supply the matching electrical fittings including satellite sockets, TV aerial sockets, phone and internet wall sockets, fused spurs and cooker switches. 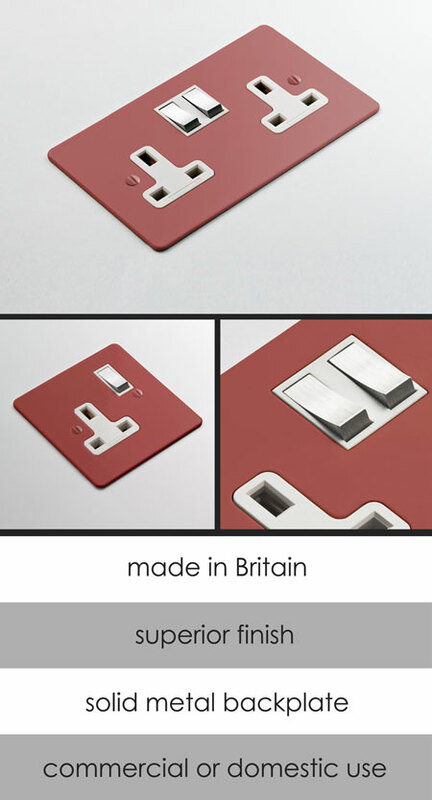 Our luxury quality switches and sockets that are made and designed in Great Britain. * Subtle red socket finish. * Tel 01722 415000 for technical.